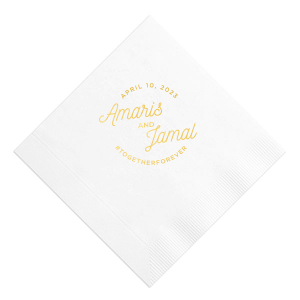 Pay tribute to the years you have spent together by custom designing an anniversary luncheon napkin to complete your party decor. Whether it's your paper, silver or golden anniversary, you can make your luncheon napkins to match with ForYourParty. 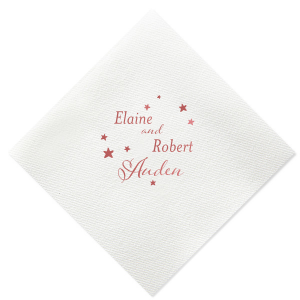 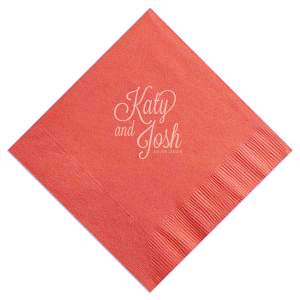 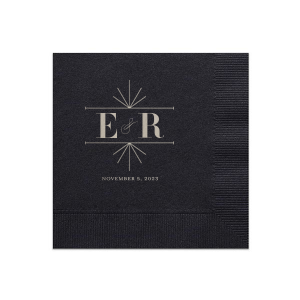 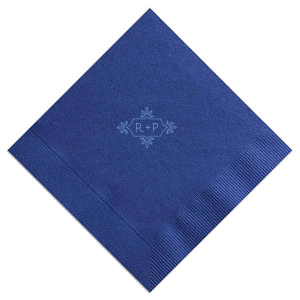 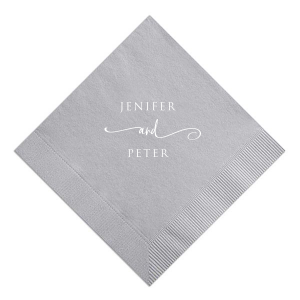 Reflect on your years of matrimony by designing a personalized anniversary luncheon napkin with a custom monogram or the year of your wedding. 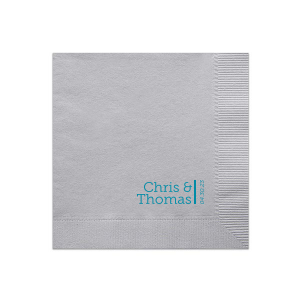 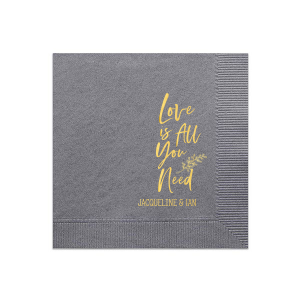 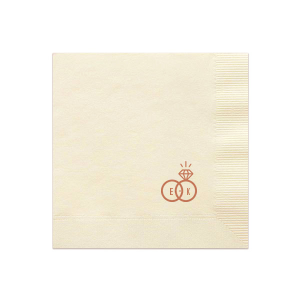 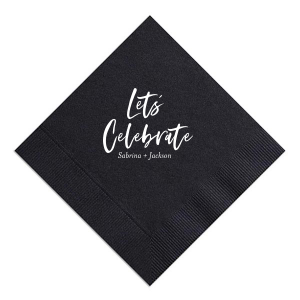 Luncheon napkins are the perfect size for dessert, small meals, buffets or sit down occasions, so however big you designed to go for your anniversary, these napkins will fill your needs. 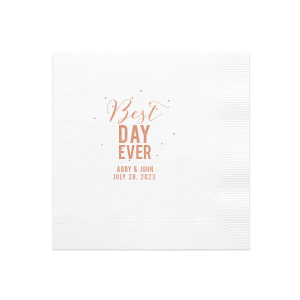 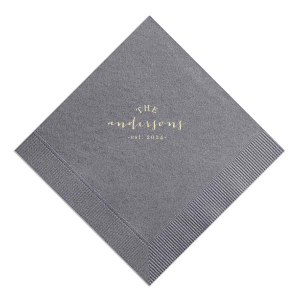 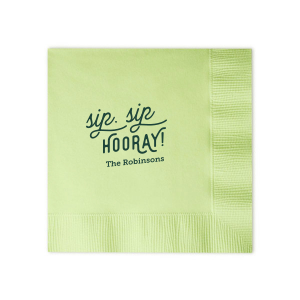 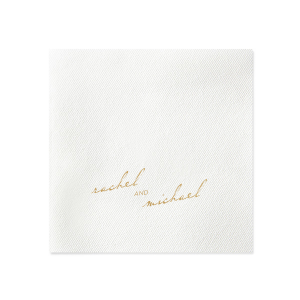 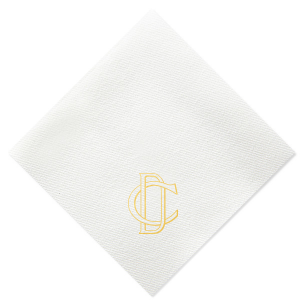 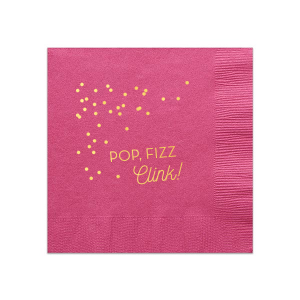 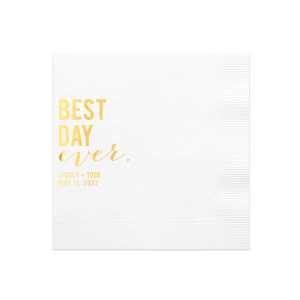 Choose a luncheon napkin color for your customized anniversary luncheon napkins from array of colors to have it match your decor, including our gold foil perfect for your 50th wedding anniversary. 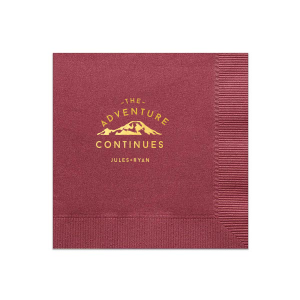 Find any color combination for your custom anniversary dessert napkins that you want in our full customizer. 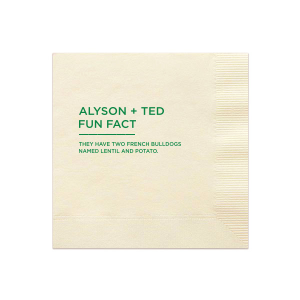 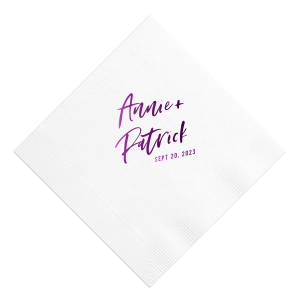 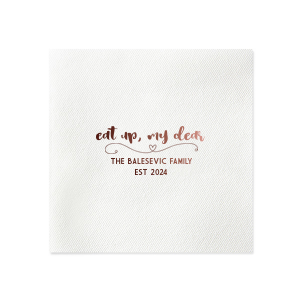 Design your personalized anniversary luncheon napkins and give your party the the unique detail you've been looking for!